Trainers are constantly trying to come up with more interesting and engaging training material, which will pique the interest of the trainees and provide for them an exciting learning journey. Virtual Reality, by nature offers an immersive experience like no other. It provides the kind of training ground where each individual can move at their own pace and embrace virtual reality through an option that fits their budget. Businesses that sell products or services can use virtual reality tech to transform their entire marketing process forever. That’s because virtual reality technology enables companies to promote their products or services in a way that’s entirely new and never seen or experienced before. For instance, Lowe’s Home Improvement, a US-based company uses virtual reality technology to allow its customers to design their own kitchens or bathrooms. The customers then get to walk into their created space and experience their own creation before the renovations even begin. Virtual reality has also made serious inroads in countries such as Singapore, where virtual “walkthroughs” are offered to new potential home buyers before they can decide on whether to decide on spending money on the real deal. Flight Centre Travel Group is a Singapore-based travel agency that’s also offering virtual tours to customers to inspire them to buy tour packages. VR technology uses a 3D video and sound to create a virtual environment it is perfect for the job. Other Singapore-based companies such as Shangri-La Group now uses virtual tour guides with 360-degree videos for its 94 hotels and resorts around the world. (And VizioFly had a part to play in that!) 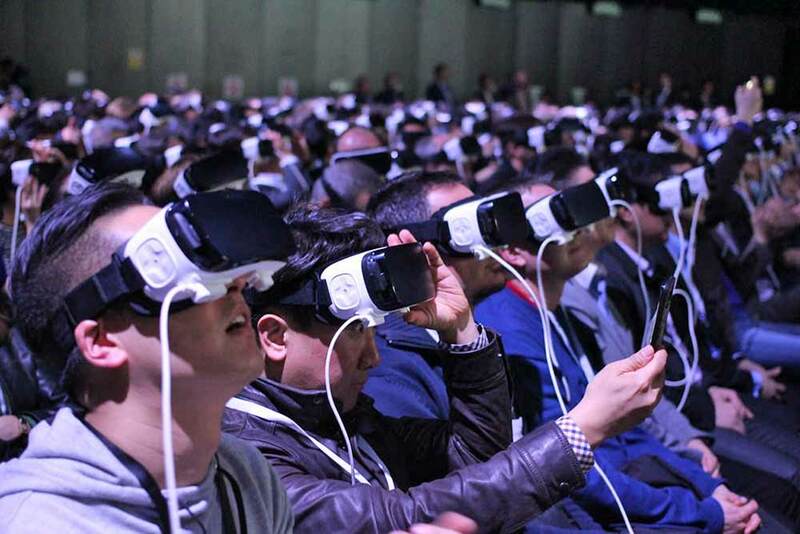 Just a year ago, Audi used virtual reality headsets to allow visitors at a conference to travel 50 years back in time to get a realistic experience of how far automotive technology has come. Virtual Reality has slowly but surely made its way into the e-learning platform, and will soon replace many online courses with its vibrant and hands-on training method, which is a lot more effective. With the growing popularity of VR technology and its growing presence in a business environment, it’s time the corporate world took on a more realistic approach to getting ahead of the curve with the help of VR technology.